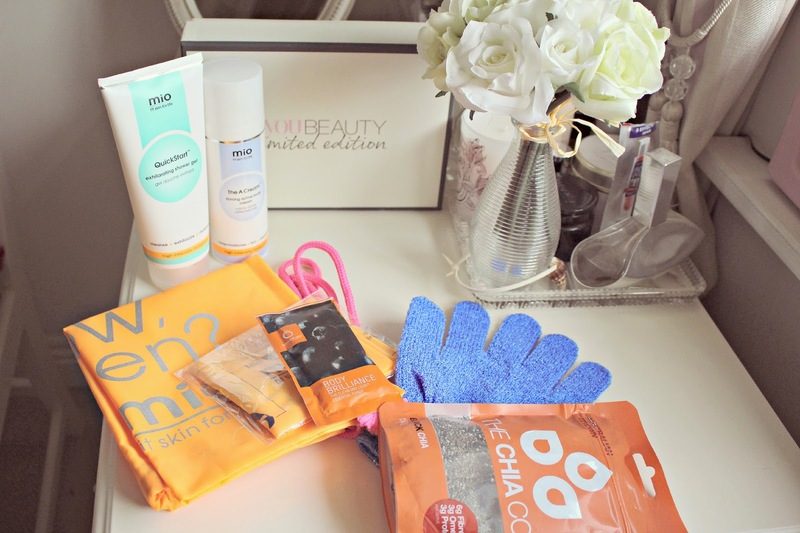 We all know beauty boxes are the perfect monthly treat for beauty products, but You Beauty have proved just how well they know us, by sending out a kit which will help us achieve that Beach Babe Goddess body (well, here’s hoping!) the new You Beauty Limited Edition box is in collaboration with Mio – the ‘High Intensity Bodycare‘ brand – and it contains over £120 worth of kit to help you get fit & beautifully buffed for Summer. The box arrives and is bulging at the seams, absolutely stuffed with goodies! The first thing that catches my eye is the pack of Chia Seeds from The Chia Co – I’ve been adding a spoonful of Chia Seeds to my breakfast smoothies each morning, they are full of goodness! Also included is a supplement sachet from Bodyism Clean & Lean. I added it to my smoothie this morning for a hit of vitamins and nutrients. Of course no beauty box is complete without some super fab products to try out – and I’m loving these full size beauties! Mio have sent us an ‘exhilarating shower gel’ and a ‘firming active body cream’ – both of which have a lovely silky texture, and you can feel a slight tingling sensation of the products working their magic. I’ve only used them both once so far, so will be sure to review them more thoroughly after holidays! 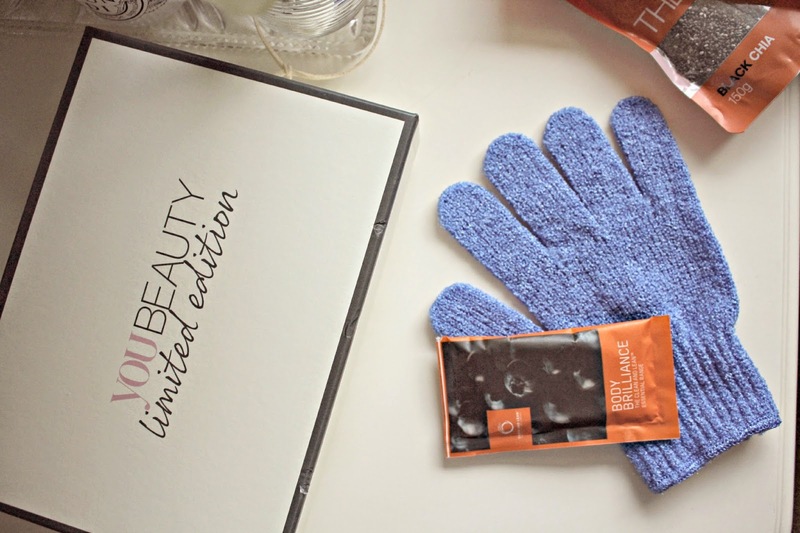 The box also contains a gym bag, exfoliating glove (always handy!) and a gym band. I’m yet to try the band – well, i’ve played around but for the sake of a non-scary blog post i’ll leave out the example shots! I hope to incorporate this into my evening routine (which currently consists of me eating macaroni cheese on the sofa, so … it’s looking optimistic!) to truly put this You Beauty box to the test, to see if the claims of making me Beach Body Beautiful will come true! 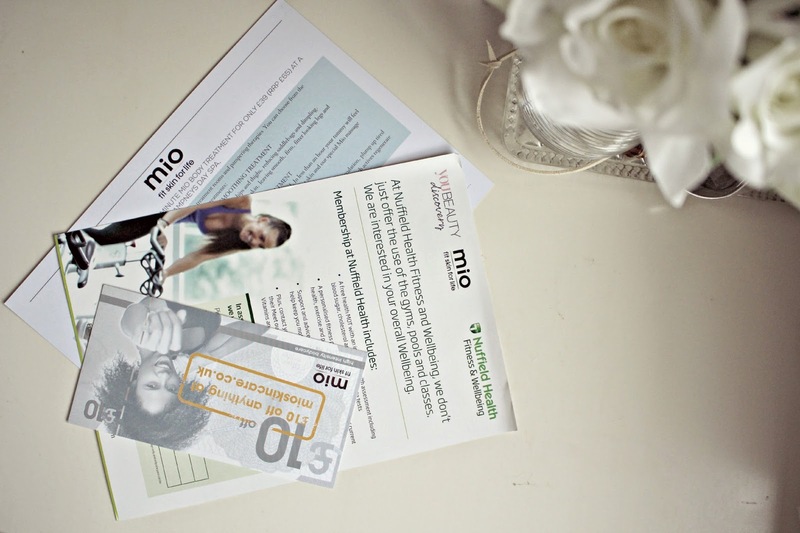 Last but not least – some handy vouchers, including £10 off my first spend on Mio.com, as well as a discount voucher for a 55 minute treatment at Champneys – ooh la la! That’s one voucher I will definitely be keeping away from the prying eyes of the boyfriend! 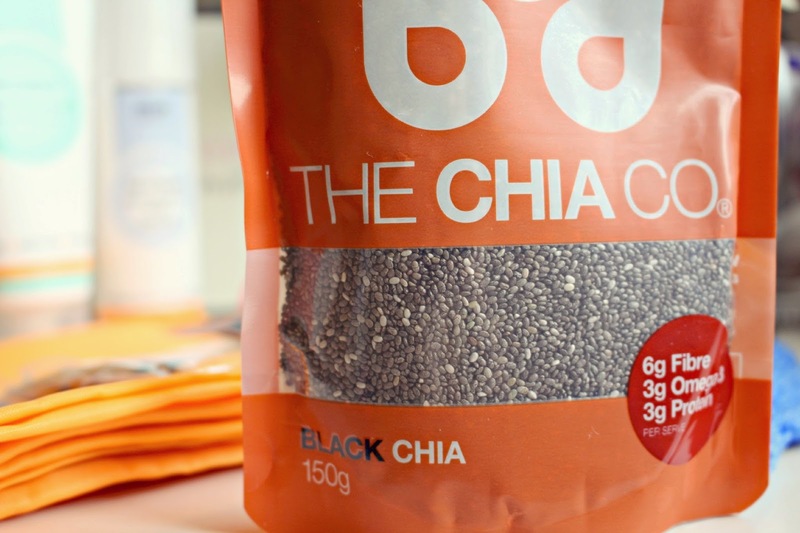 The box is just £16.95 which I think is incredible when a packet of Chia Seeds alone will almost cost you that – with everything else included it’s just incredible. I don’t know why you wouldn’t get it! You can get the limited edition box now, from the You Beauty website here – but be quick! These babies are limited edition and i’ve got a feeling they won’t be hanging around for long! 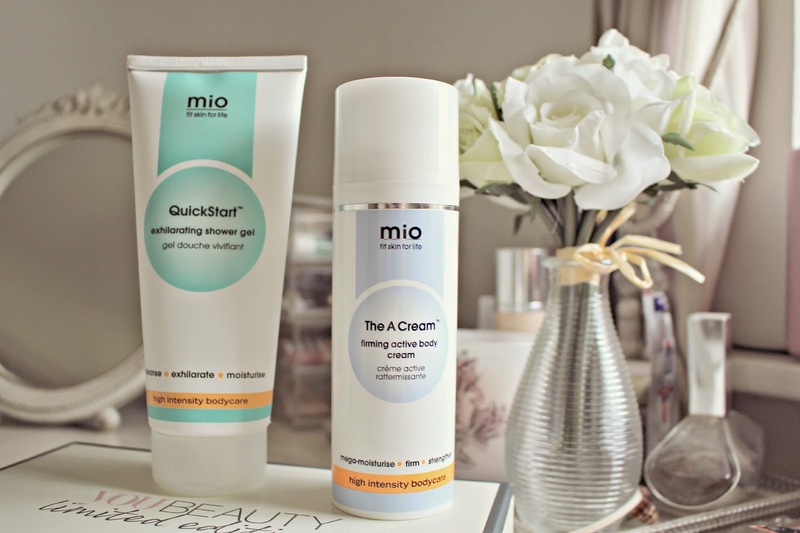 Find out more about Mio Skincare on their website, here.